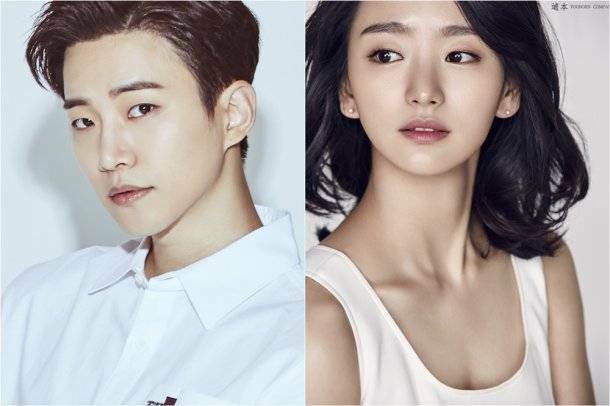 Lee Junho and Won Jin-ah in "Just Between Lovers"
2PM Lee Junho and rookie Won Jin-ah are starring in a JTBC drama called "Just Between Lovers". "Just Between Lovers" is about the people who are great because they are so ordinary in a life full of obstacles and deliver the message of 'people are hope and love is savior'. Lee Junho takes on the role of Lee Kang-doo, a young man who dreamed of becoming a soccer player but lost his father and had to rehabilitate for 3 years after breaking his leg. He has no background and no parents which naturally led him to the back alley life, holding back his pain. He changes when he meets Moon-soo. Ha Moon-soo is played by Won Jin-ah. Moon-soo is a valiant character who isn't let down by anything. She lost her younger sibling in an unexpected accident but lives the rest of her life as well as the life her sibling didn't fulfill. She smiles a lot and take care of her mom until she meets Kang-doo who pretends he's fine. "Just Between Lovers" will be broadcast on JTBC. "Lee Junho and Won Jin-ah in "Just Between Lovers""
Kim Ah-ra to star in "Calm Down Cheon-doong"